Canada and Canadians have long been well-known and well-regarded in Ireland and Northern Ireland but never more so than today. 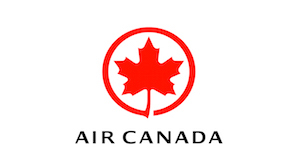 Personal contacts with Canadians who have moved to Ireland, temporarily or long term, to study, work or retire; the visits of numerous Canadian performers and award-winning authors, well-received Canadian films and documentaries; the activities of the various Irish-Canadian groups; and the solid efforts of Canada’s diplomatic representatives and especially the contributions to the peace process by General De Chastelaine and Mr. Justice Corey have all played a part. And it seems everyone has a relative in Canada whom they hope ex-pats might know. For a long time the over-all impression among the Irish was that Canadians are ‘really nice’, but, less exciting than their ‘American’ cousins. But that’s changed a lot in recent times, especially since the economic crisis that began in 2007-08. With even US President Obama joining in, recognition of the strength of the Canadian banking system won wide attention and influence. Canada became the go-to place for jobs, especially resource industry jobs, which Ireland couldn’t provide. Belatedly, even the airline and tourist industries, both Canada- and Ireland-based, realized that the Irish knew that their euro goes much farther in Canada than in the US, and that year-round direct flights between Ireland and Canada would be profitable. Recognizing the growing Irish appreciation for Canada’s opportunities and attractions the Canadian Government increased the quotas for student and work visas and the increased numbers were taken up quickly. It is yet to be shown that the Canadian tourism and hospitality industries have sufficiently recognized that the Irish love to travel and that they spend when they do. While the Irish do appreciate that there is wonderful natural beauty in Canada, the abundant, readily accessible natural beauty to be found in Ireland means that promoting Canada’ scenic attractions needs to be linked with the attractions of Canadian cities: modern, diverse and safe, offering good value and, yes, excitement!